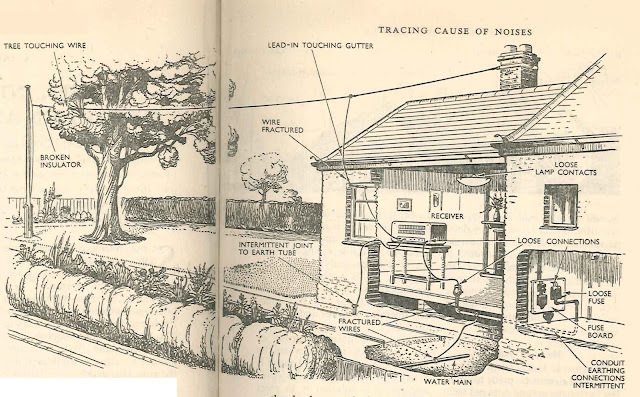 Some old radio and electronics books contain beautifully drawn illustrations. Often the artists are uncredited. The images are strangely evocative of a suburban era which has passed. I which I had more shelf space to collect these old books. 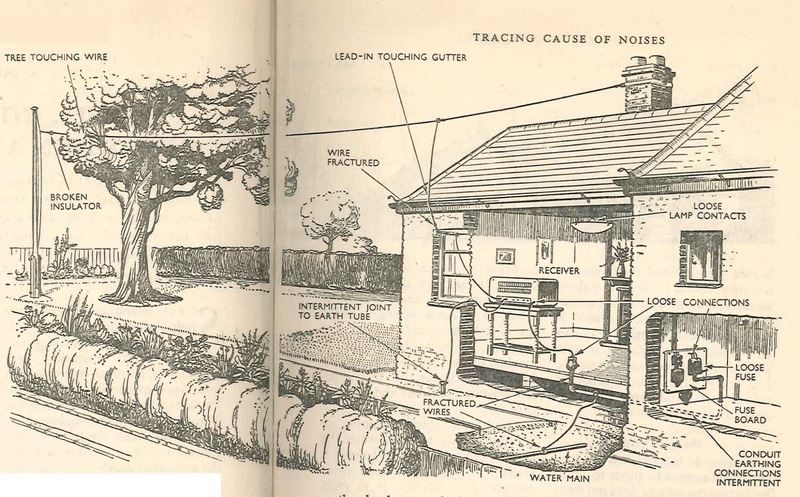 Here's a picture from "Radio Television and Electrical Repairs (Illustrated)" which is edited by Roy C. Norris, Technical Editor of "Electrical and Radio Trading" magazine. The publishing date is not given, but a book plate indicates 1949. This is an illustration which might help those who are struggling to get rid of interfering "noises" on their radio reception!